A Creative Cookie: Bye bye FTF. Don't forget to enter the huge giveaway! I've actually missed about four of them. I'm super sorry about that. But, it just wasn't working for me. It wasn't fun to write, to share, to read... so today is bye bye FTF! BUT there are lots of exciting things going on instead! I am excited to introduce two new topics - 5 Tips and Photos:. 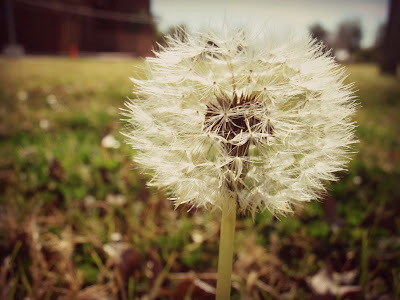 You might've already seen my first Photos: post - Photos: Dandelions. There are many more to come! Especially because this month I am participating in the May photo challengee @ Fat Mum Slim! If you are on my Facebook page, you might've seen the first few photos. I'll be sharing them here on my blog every week or so, so stay tuned! Because the weekly wordless wednesday/link party thursday you see on other blogs don't really work out for me, Photos: and 5 Tips will be posted as often as possible. Maybe every week, maybe every 10 days. Just be sure to follow along so you know the next time one is posted!